Think you don’t like cauliflower that much? 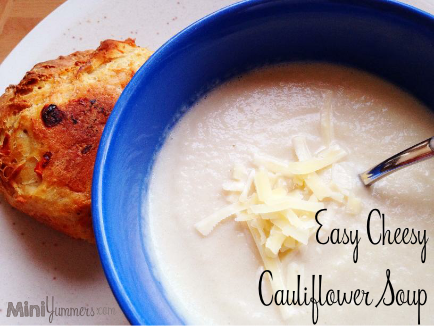 This easy cheesy cauliflower soup recipe is just the thing to make you change your mind. Soup is one of the best ways of eating vegetables, as sometimes, eating veggies on their own just isn’t that nice. Our butternut squash soup is a big favourite here, but this cauliflower soup is waaaaay easier and quicker to make. It tastes just like cauliflower cheese although is much healthier and doesn’t have that strange texture that cauliflower cheese sometimes has. 1. 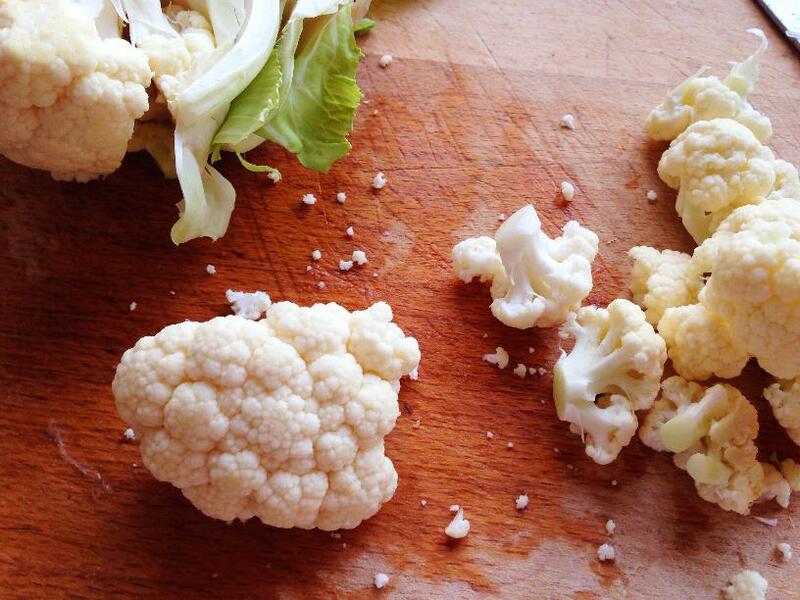 Get your grown-up to chop the onion, and cut the cauliflower into big pieces. 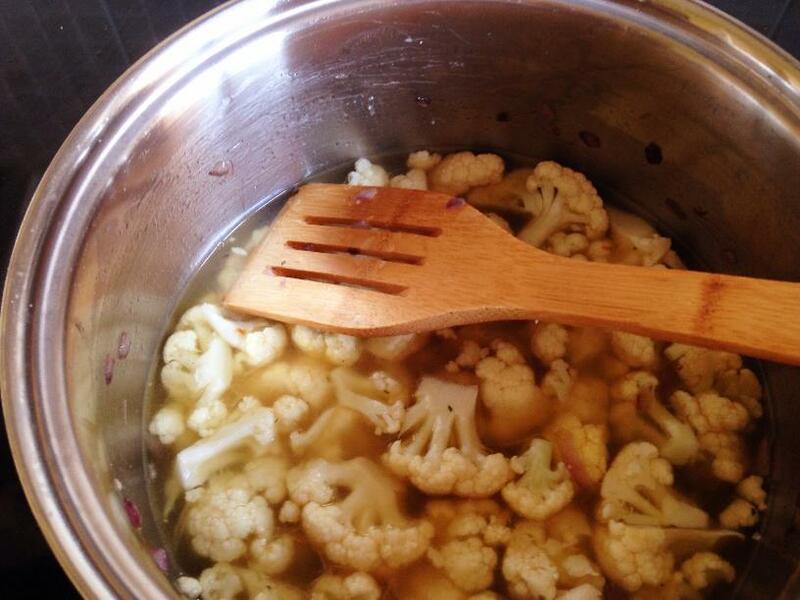 Then you can pull the cauliflower into small pieces just using your fingers. 2. Use a large saucepan to cook the onion in some oil until it starts to change to a golden colour. Tip in the small cauliflower pieces and stir everything around. 3. Pour in the stock and throw in the bay leaf (if using). 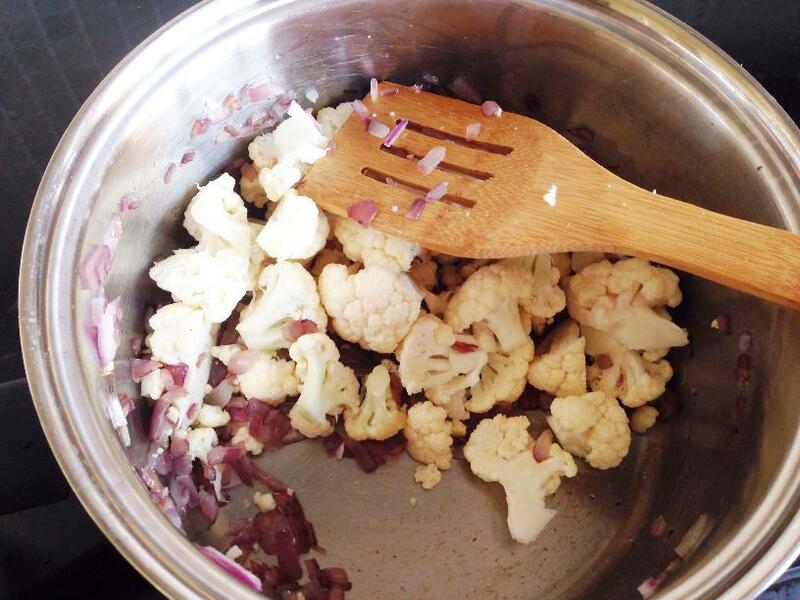 Cook the cauliflower for 25-30 minutes until it’s nice and soft. 4. 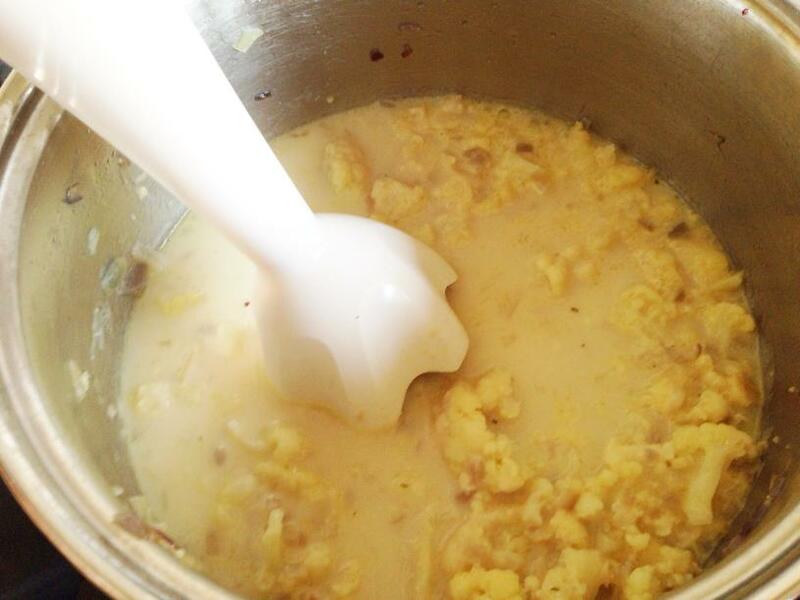 Remove the bay leaf using a spoon, and then add the milk and cheese. 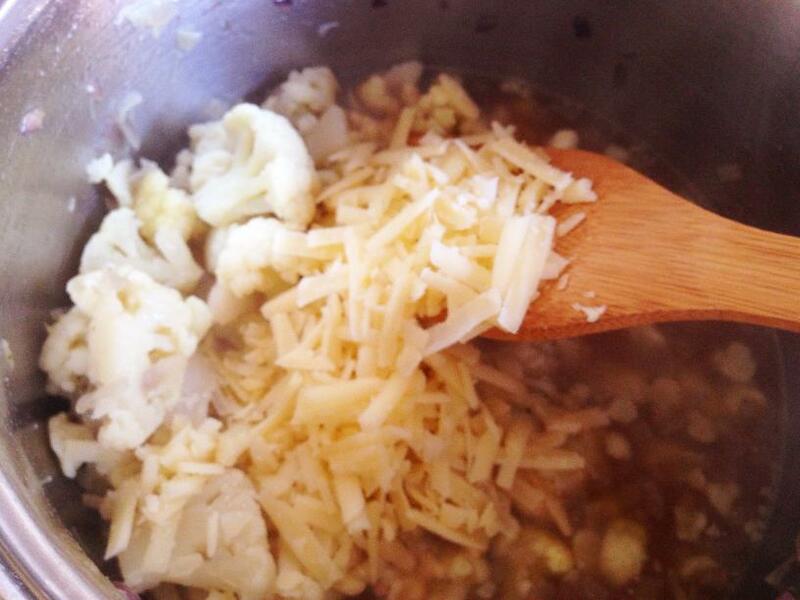 Stir everything around until the cheese melts. 5. Allow to cool a little, and then blend your mix into a soup. Reheat it a little when you are ready to eat. 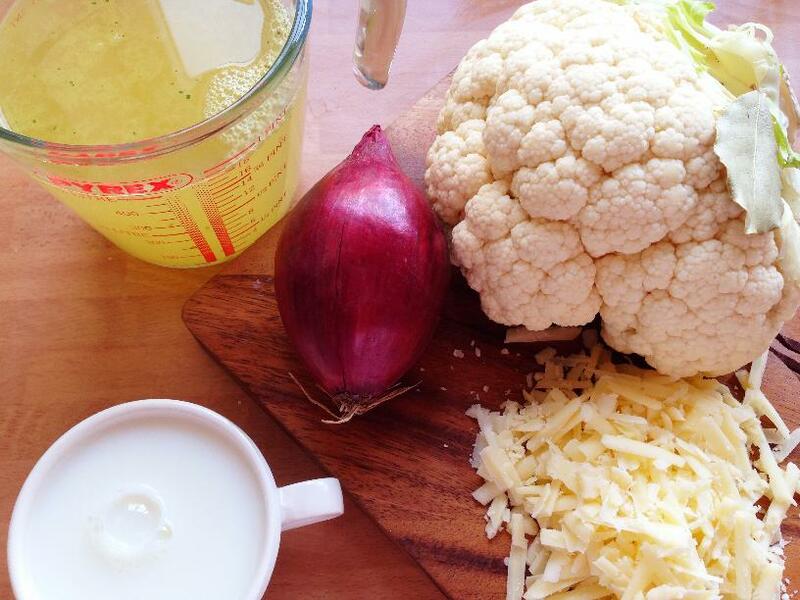 And that’s all–see, we told you it was an easy cheesy cauliflower soup to make! Tastes delicious when served with our Brilliant Butter Bean Bread, if you have time, and you can sprinkle some extra cheese on top of the soup to look extra fancy, if you wish. Is the Cauliflower Actually a Flower? Those funny, knobbly shapes of the cauliflower that we eat are called florets. They are immature flowers, kind of like flower buds–in other words, we eat them before they turn into flowers. 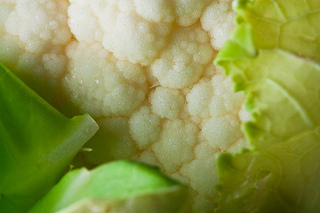 Cauliflowers belong to the same family as broccoli–broccoli would also turn into flowers if you didn’t pick it at the right time. Why not join us on Google+, or another of your favourite social networks, to keep up with all our recipes and fun stuff. Use the red buttons at the top right of the page and pick your favourite.